Vetrocolor is an Italian company which designs colored glass tiles to suit every space. 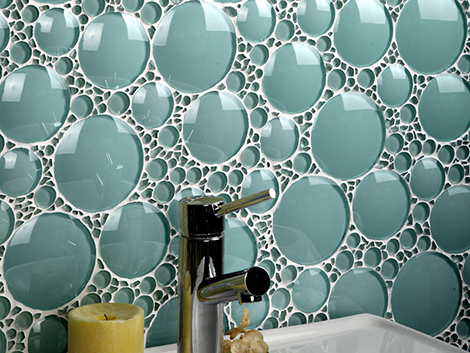 The glass tiles collection shown below are mostly designed for bathroom flooring use. They are tinted glass tiles of different colors as well as clear glass tiles and they are available in various shapes and sizes. You could think of some really crazy shapes and sizes and get them customized too according to your needs. The unique metallic looking bathroom tile shown below is called the Trasparenze collection of glass tile. It represents a layer of thick glass that appears to glow making it shine. Each of these colorful tiles is very relaxing and rejuvenating.